- Tuesday Night. The Texas Senate. Were you watching? As a Texan and a woman, I was nowhere near as educated as I should have been on the issue (thanks for teaching me, twitter). Following the filibuster on youtube and twitter was just... witnessing history, ya know? No matter your beliefs on the issue, I think we can all agree that the people were definitely heard. I call that democracy, though I know others call that "an unruly mob." And that's all I have to say about that. - I was going to blog about how I went to the US Supreme Court in May but the post was boring so here's the short version: you can't talk and it's very serious. The building is very stately, for lack of a better word. Clarence Thomas was just chilling out, leaning back in his chair. Justice Roberts and Justice Ginsburg came and visited our group and spent a few minutes with us. Justice Ginsburg is very soft spoken and she loves spending time with her grandchildren. Fun fact: last summer, after the healthcare ruling came down, Justice Roberts went to Malta to teach summer school for the program that my law school coordinates. The paparazzi followed him. He is going to Prague this weekend to teach again so I will have to see if I can get any inside scoop on this week's ruling. - At work we are working on our annual reviews. It always stresses me out because I want to fit everything in but then I get to go through my "Good Things" file with the nice emails I've received for the past year and I have to admit, it's a great feeling. - Blogging is hard this week. Am I just in a rut? I need content that isn't link-ups. - I watched Catfish while I did Brooke's workout from earlier this week and I kinda didn't get it. Maybe it wasn't entertaining because there was a happy ending? What did I miss? And PS, her workout kind of killed me. I thought it would be easy. My spaghetti arms say it was not. - I thought this post was lacking something and I realized it's wine. Normally I type these with wine but tonight? No wine in this house. Because wine. Please click that link if you don't already get it. Do you read the Bloggess? What do you blog about when life seems pretty boring? Am I totally crazy to *gasp* write a post, sans photos? Yeah my dad thought it was an unruly mob. Made for a depressing discussion, when he was just very "how dare that woman just stand there and talk for 11 hours and not let anyone else speak or vote". Sigh. That's the point. And I totally found the whole thing oddly exciting. I've never seen Catfish before, now I don't want to watch it lol. I don't read the Bloggess, but I think I need to start! I do follow her on twitter though. Now I'm ready for some WINE. I stand with Wendy. Tuesday night was intense and inspiring and an awesome example of democracy and peaceful protest in action. yay you did my workout! would raise hands and cheer, but mine are still tired from it too! stupid burpees. That is neat you went to the US Supreme Court... did you go there for that specific reason or were you in the area? That is something I've never done before. I can't comment enough about this. 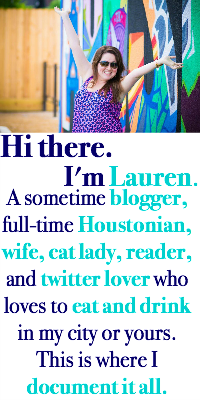 I too am in a blog funk, I getcha! Because wine was a great post and so true about wine. I have a love/loathe relationship with Catfish, mostly I feel sad for the people.